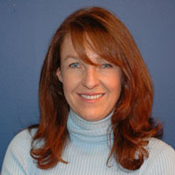 Janine Popick is the CEO and Founder of VerticalResponse, which has won multiple Stevie Awards, most recently for Support Team of the Year in The 2011 American Business Awards; and Janine Popick was named Best Entrepreneur in a Service Business with up to 100 Employees in the 2010 Stevie Awards for Women in Business. What are your top three tips for small business owners on email marketing, content creation, and social media? Take the time to organize your first email marketing campaign, and then use the same template for all of your weekly or monthly email campaigns. Creating your first email can be daunting. As we all know, business owners just don’t have the extra time in their day that it takes to do this. But if you keep reusing your template it will take less and less time, and when you are comfortable making changes to it, you can try new things and add to it to get a better response. A lot of people don’t know where to start when it comes to creating content. The answer is to use what you have. Why not feature a customer and whether he/she likes the experience of using your product or service? If you’ve recently won an award or received a great review, that’s another thing you can highlight. You can even have a sale around an upcoming holiday or an create an event for one. The more you think about all you do in your business, the more you’ll realize you’ve got a ton of ideas to write about or share via photos and videos. Social media is a great way to extend the life of your email marketing campaign. Make sure you include “follow us” links so that your email recipients have yet another way of getting your messages. In addition, you’ll want to include links to Twitter, Facebook, and LinkedIn in your email campaigns so that your recipients will share them with their own followers. Doing this spreads the word fast! The Pope is Tweeting! Gotta love it. My favorite iPhone app is Shazam. I’m always amazed that the app will pretty flawlessly tell you who is singing a song! I once wanted to be an MTV veejay, but now I’m not even sure whether that profession still exists! Honesty is the quality I most value in any business associate, whether it is someone inside my company or on the outside. I love it when people tell me they simply “don’t know” rather than faking it. And I love doing business with companies who are honest and open with their customers. Clipping your nails. Kidding! I think the worst bad habit to have at work is avoiding the big projects that need to be done. Simply put: procrastination. I do it, we all do it, but getting your arms around it when you detect it’s happening and changing your behavior is always a good thing. And half the time you build up that “big” project in your mind, but when you get into it, it’s not really that big. My people and my customers always inspire me. Our mission is to help small businesses and non-profits grow by providing easy-to-use online marketing tools. So when a customer tells me that something our team produced helped them grow—whether it be a phone call, an email, or a piece of technology—I’m happy all the way around. Janine Popick, CEO and Founder, started VerticalResponse in 2001, when email marketing was catching on for larger businesses but still out of reach for small businesses. She realized that developing simple-to-use, cost-effective Web-based tools would make email marketing affordable and practical for small businesses—and that has been the company’s mission ever since. In her spare time, Janine is CEB (Chief Executive Blogger) for the award-winning VerticalResponse Marketing Blog for Small Businesses. Prior to founding VerticalResponse, she led direct and Internet marketing programs for some of the biggest brands in technology and entertainment, including NBC Internet; XOOM.com; Claris, a wholly owned subsidiary of Apple Inc.; and Symantec Corporation. VerticalResponse Inc. is a leading provider of self-service email marketing, social media, online surveys, and direct-mail services empowering small businesses and nonprofit organizations to easily create, share, and analyze their own marketing campaigns. Users can benefit from a wide variety of features including more than 700 free email marketing templates in a variety of categories; plus the ability to share their content over several social media networks; and tracking on everything from email marketing to social media responses so that they can understand campaign success. VerticalResponse offers customers an integrated Web-based marketing solution that’s intuitive and affordable. VerticalResponse is headquartered in San Francisco, Calif. For additional information, please visit www.verticalresponse.com.